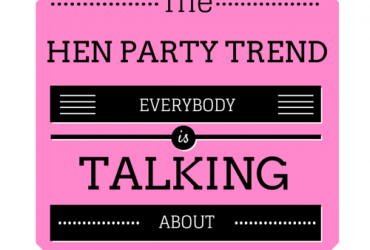 Picking what to wear on a hen party can be a big dilemma – is it on trend? 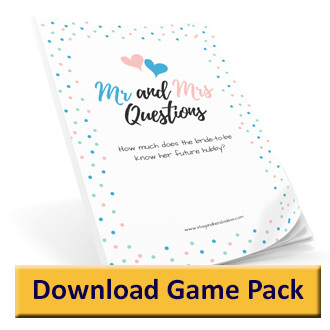 Will the other girls, who you may not have met before, like it? 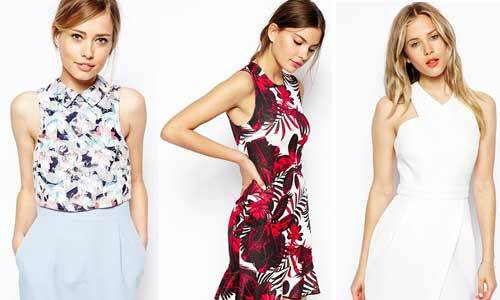 Because we understand everything about hen parties we’ve picked a selection of the very best on trend outfits to make sure you look fabulous at any hen do. The LWD (Little White Dress) is this summer’s must have item for your wardrobe. Wear it with a pair of stand out shoes or wedges to give the outfit contrast. Combining quality fabrics with a great eye for style Danish label Vila make this lovely crochet dress. With a round neck line and scallop trim this is a great casual, summer dress. 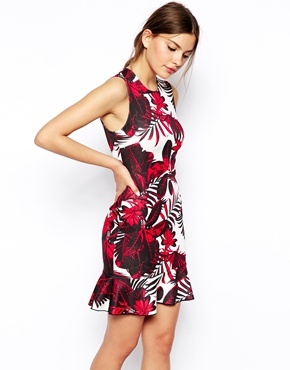 With a fitted waist, stepped hem and cut-out back this night time dress keeps pace with the latest trends meaning you’ll look fab wherever you end up on your hen night. Lace is massive this season and is great for looking chic when the temperature starts to rise. Pair these with some high wedges for long hot nights of summer fun. Lightweight with gentle pleating this Maxi dress is great for days exploring a new city or sitting having a few drinks as the sun shines. If you’re looking for something with a retro feel then this sun dress with open crochet style and off the shoulder neck line when worn with simple jewellery and a simple hair style. Get the indie rock chick look with this stylish bodycon crochet dress. It doesn’t take much accessorising and is great with a pair of ankle high boots to finish the look. 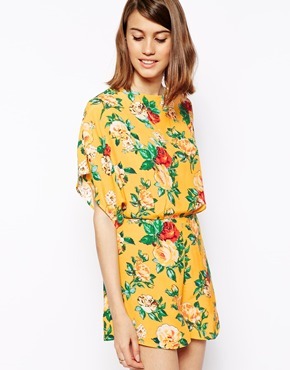 Floral prints whether on maxi, midi or body con dresses or playsuits are bang on trend and they immediately lift your spirits with their summer patterns and make you stand out in a crowd. A great day time playsuit with capped sleeves and a relaxed look you just need some flatforms or wedges to go with it giving you an effortlessly stylish look. Featuring a cut away back and stretch cotton blend this is a laid back summer outfit. With vintage style a key spring/summer 2014 trend this colourful retro playsuit is a chic summer must have. With a bohemian style this playsuit has endless accessory options to bring out your own unique style. 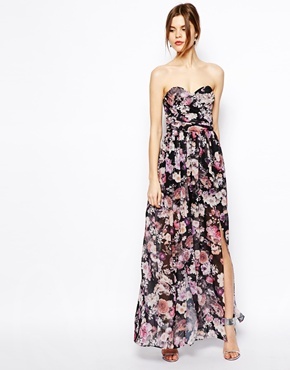 Featuring a deep v-shaped neck line and pleat detail at the front. 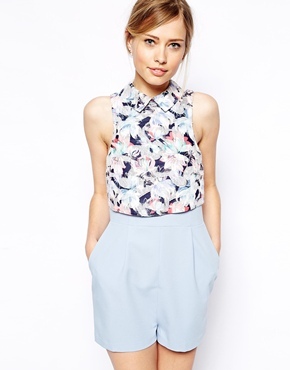 With a point collar and contrast high rise skirt this is a perfect summer hen party outfit –stylish, bright and fun. Dainty and bohemian this playsuit gives you a couldn’t-care-less summer feel. Pair it with a simple straw hat for a relaxed girl about town look. 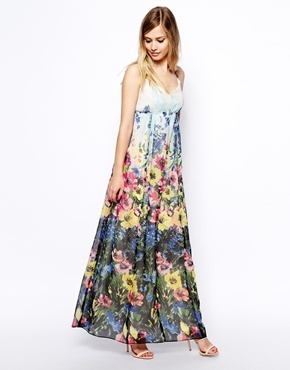 Combining two essential summer trends; maxi dresses and floral prints this flowing maxi dress will keep you looking and feeling cool on the summer sun. 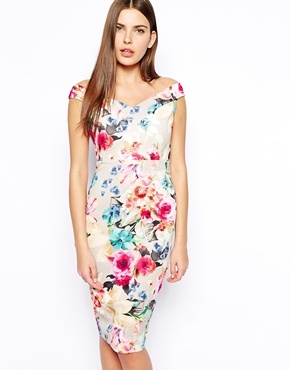 With vibrant prints and clean cut tailoring this piece will make you look stunning at any summer hen party. This is a summer stunner! With a pencil design, slight off the shoulder strap and high waist you’ll look and feel amazing as you head in to town with your hen party. Jumpsuits are fab for a night out and as an alternative to a dress they really make a statement – go as elegant or bold as you dare. Lipsy are already well known for their statement party dresses and this bold jumpsuit is a great hen party outfit for a night out. Keep your make up and accessories simple (great for saving time getting ready) and let the outfit do the work. Let your skin get some sun in this casual, sleeveless jumpsuit with a v-neck and racer back. Keep your hair in a simple up-do to show off the neck line. A simple clutch bag, high heel sandals and satin lipstick will give you the perfect elegant look for any hen party you’re going to this summer. Stunning contrast jumpsuit with high waist and lace top for an elegant and stylish hen party outfit. 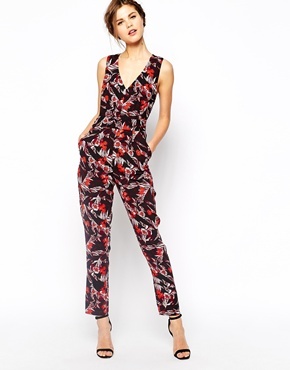 Contrasting black trousers with bright colourful print and paired with high sandals you’ll look stunning in this summer jumpsuit. With a fitted bodice and delicate floral overlay this classically styled jumpsuit is perfect for sophisticated hen parties. Accessorise with bright statement pieces to bring it to life. 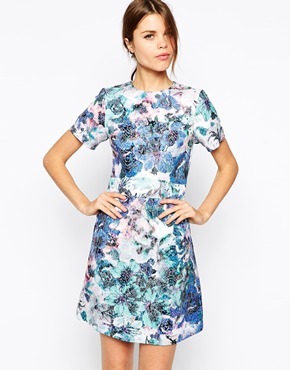 From ASOS Collection with makes and breaks fashion rules this low key piece has a stylish racer back and leaves you with plenty of ways to add your own unique style to the outfit.